taking glamour shots with the fun mr. michael bransford, restaurant owner of vincent in andersonville, chicago, when we shot our show food revolution chicago. he’s a doll. 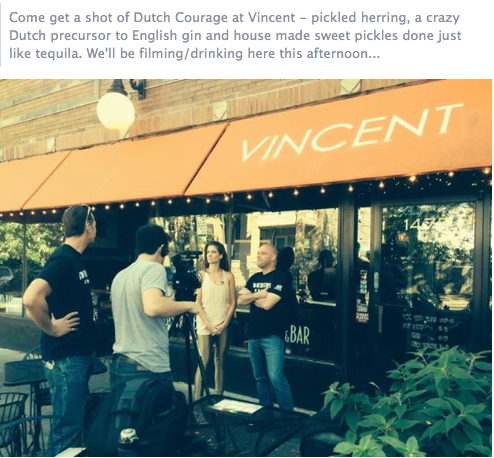 i chat with the owner of the restaurant vincent about all things dutch. clink on the link to watch the fun airing on nbchicago.com now! wearing gold disco pants while shooting a show….that’s how i roll…. it’s time to watch the teaser for the next episode of food revolution chicago that airs next monday!